﻿ Zaniyas Pension, Palawan | FROM $25 - SAVE ON AGODA! "First of all the hotel is in a great location walking distan..."
Have a question for Zaniyas Pension? 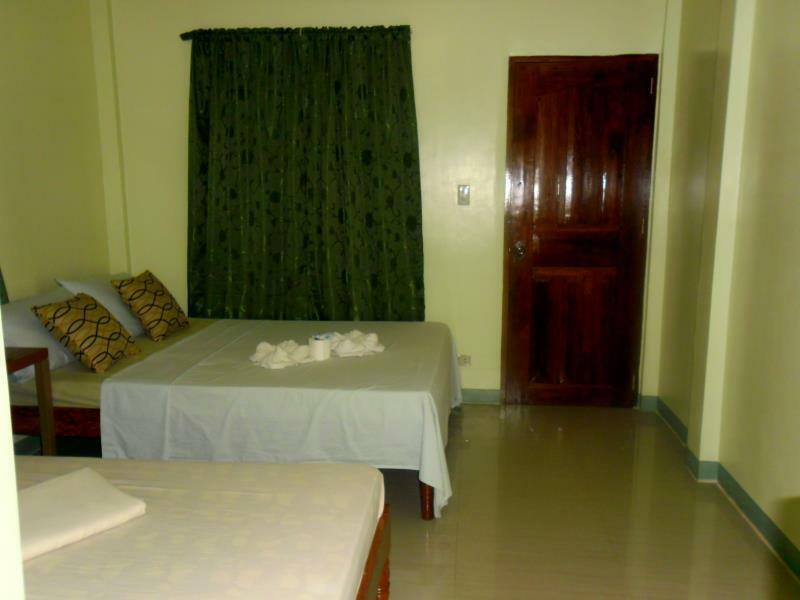 Conveniently located in Palawan, Zaniyas Pension is a great base from which to explore this vibrant city. The hotel lies from the city center and provides accessibility to important town facilities. With its convenient location, the hotel offers easy access to the city's must-see destinations. At Zaniyas Pension, the excellent service and superior facilities make for an unforgettable stay. 24-hour room service, 24-hour front desk, Wi-Fi in public areas, room service, tours are just a few of the facilities that set Zaniyas Pension apart from other hotels in the city. 6 rooms spread over 3 floors provide a warm and pleasant home away from home. Modern comforts such as television LCD/plasma screen, internet access – wireless, internet access – wireless (complimentary), non smoking rooms, air conditioning can be found in selected rooms. The hotel offers an excellent variety of recreational facilities, including massage. Whatever your reason for visiting Palawan, the Zaniyas Pension is the perfect venue for an exhilarating and exciting break away. We booked with them our island tour and our van back to puerto princesa. Checkin was a breeze. 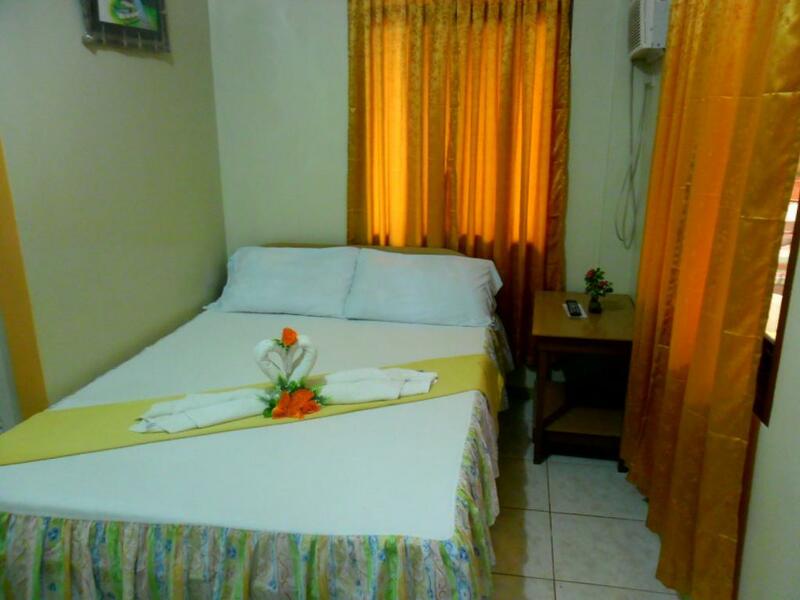 The location is very accessible and at the heart of the town of El Nido. Vibrant crowd and full of friendly people to help around. Host was also very accommodating and always ready tk help with almost anything! Check in was easy and quick. Staff was very friendly. Room was adequate size and bed was ok. Bathroom water was not hot at night. This place is right on the main walking street at night so you are so close to bars, restaurants and all the fun things at night. I would stay here again for sure. Breakfast is delievered to your door in the morning once you order it from the front desk which is awesome! Bad experience in the following: Just disappointed with the washroom being so small and the drain was sort of keeping water on the floor making a small puddle, the shower water pressure was so weak, the toilet's flush was not working and had to use the pail to flush, water heater did not seam to work properly, the bed only had 1 pillow per head, the TV did not work at all, too bad cause we had a senior with us and she just wanted to stay in the room most of the time. Good things from our stay: The wifi works, The location of this Pension is spot on right smack in the middle of down town El Nido, very near the beach port for boats, the restaurants, the shops and the bars. The breakfast was okay just enough. The aircon was cold. Great location, wonderful staff. TV reception was horrible although TV in friends room next door was fine. Our CR (bathroom) was extremely horrific from sewage smell and the floor filled with sewage water on a few occasions as well as friend’s next door. The staff did rectify this but it continued to happen. My daughter and I received numerous bites from some kind of bug, spider, whatever. Was it from the bed or room? Can’t be positive but I wouldn’t chance staying there again because of this. First of all the hotel is in a great location walking distance to everything one block off the beach. That said the building is old. The power goes off quite often so you will not have air conditioning quite a bit. The Wi-Fi is basically the same as having 25 people linked to your cell phone. and the WiFi is really only available at the front desk. This is my 2nd time in El nido Palawan and i never go back to that hotel nor i will not recommend it to my friend! Expect quite a bit of noise, especially if your room is facing the street. Central location close to shops, restaurants and bars. AC is a joke, as is the free Wifi (slowest I ever experienced). Lucky there is also a fan. TV has a few decent channels. Owner was kind enough to move me from a musty groundfloor room to a room on the upper level. i have been to numerous lodges and pension houses this is too expensive. not worth the money. very basic necessities. the stairs were too steep. no room wifi. no room phone. breakfast was horrible. staffs were not attentive. Room was big, nice cold AC. No hot water during the whole stay, there is free wifi but only available in the lobby and it was very slow. Free breakfast included but must place order the night before. Pleasant stay. Hotel facilities are nothing special but felt comfortable and welcome. Dive shop just opposite. Unluckily, it was very disappointing. We ordered brewed coffee and waited for our free breakfast for more than 30 minutes and it never came. We had to leave as our boat has to leave at 8:30 AM. No apologies from the staff. We would have been happy if they brought us even just the coffee. How long it takes to brew coffee? I stayed at the Zaniyas Pension in February 2015. The hotel is family run, with the entire family on site. They are very friendly and accommodating. They need to improve in three areas: The hot water is not hot, it's cool. There is no daily change of sheets or towels, unless the guests ask for them, each time. Lastly, the breakfast was always cold (cold eggs, uggh!). El Nido is now an international destination, with tourists from all over the world with plenty of cash. The Zaniyas Pension could easily charge double their current daily rate, and include the above mentioned changes, making it into a "boutique" world class small hotel. They would make more money by doing this also. El Nido is in transition now, and the quaint "backwater" feel of the town will soon change into a mega-resort, with the usual Westins, Sheratons, and Hiltons. Go now, before these changes occur. It was clean, convenient and the service was great!! We enjoyed a lot this hotel. The staff was really friendly and did always the best to satisfy our needs!! Great service, not on the beach but central and not next to a club that thumps all night, watch the street life from the patio and close the door crank the fan and crash out. new and colorful place, a nice hot shower after a min or so, clean bathroom, new AC units and good room fan.